At The Signature At MGM Grand Las Vegas Wedding Venue , Enjoy a luxurious wedding morning as you and your bridesmaids prepare in a lovely private room. 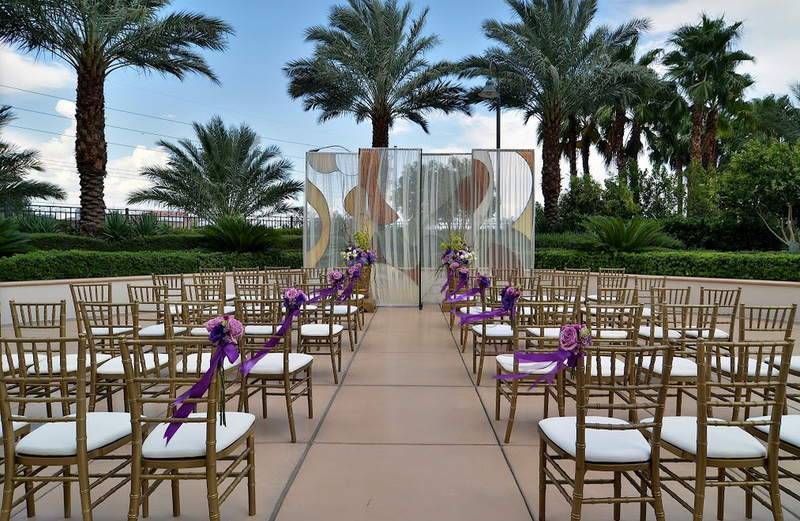 When it is time to walk down the aisle, imagine a beautiful outdoor ceremony by the MGM Grand's modern waterfall fixture the Signature Spa Wall, or on the Signature Patio overlooking tropical palms. 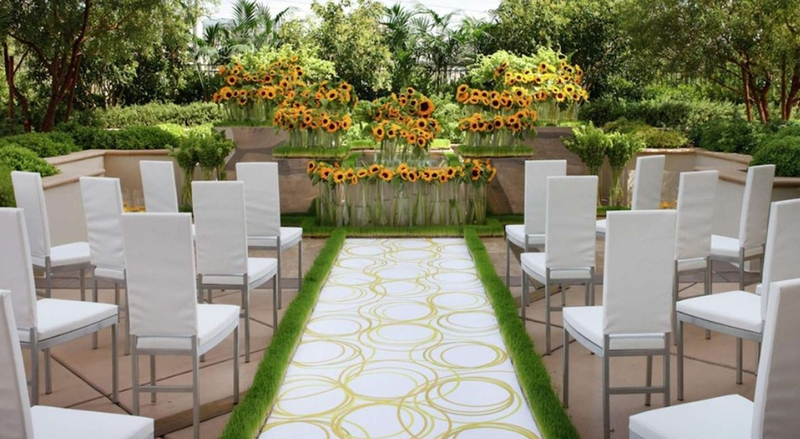 The Cabana, another ceremony site, provides an intimate covered space that overlooks the hotel grounds. In the lush gardens you and your loved ones will be swept away by the romance and intimacy. Inside the MGM Grand has two chapels to choose from for a more traditional ceremony space. The Forever Grand Ballroom is a stylish and ornate site for your wedding evening. 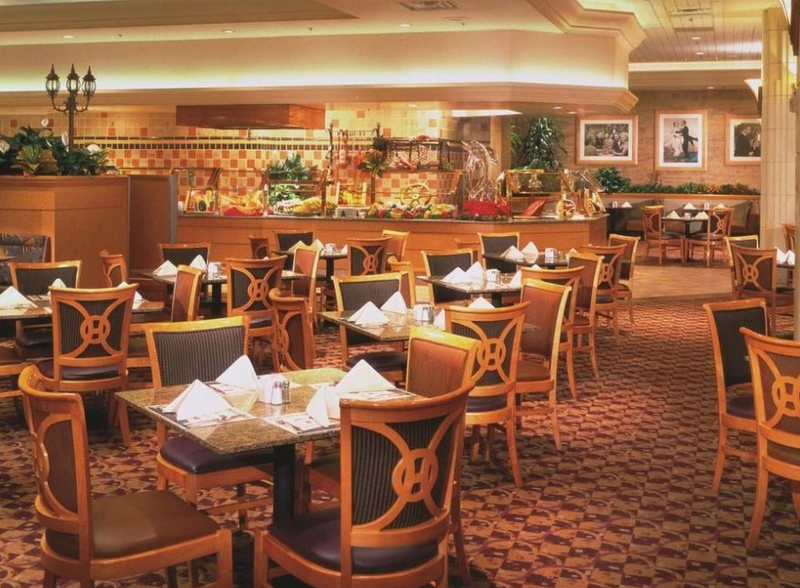 Enjoy an evening of dining and dancing with friends. The Ballroom is a neutral space that transforms to the wedding site of your dreams with the addition of floral arrangements, candles, and other wedding decorations. Celebrate in decadence at the Forever Grand The Wedding Chapel at MGM Grand. The Signature At MGM Grand Las Vegas Wedding Venue Capacity Max Indoor Ceremony: 70 guests.